During the holidays, dinner parties and potlucks are on the rise. While it’d be nice to arrive at a party empty-handed (because I can be lazy like that), more often than not, parties require me to bring an appetizer. 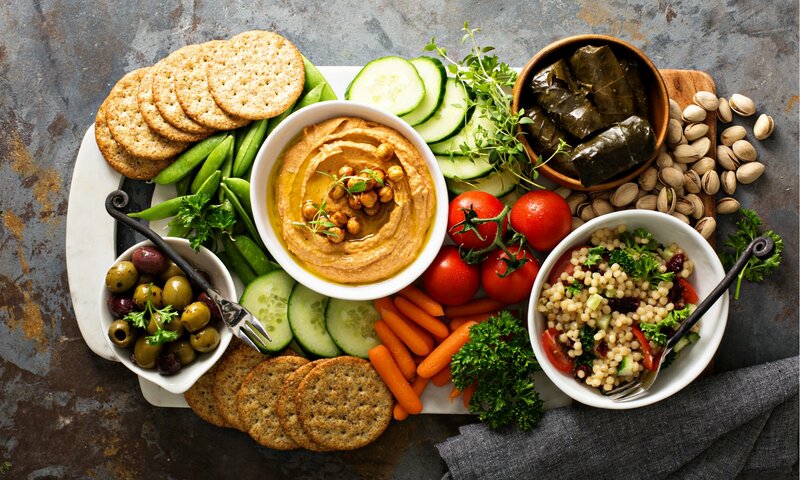 Most party appetizers are something along the lines of baked brie, cheese platters, or charcuterie boards. I’m not vegan anymore (and now happily enjoy these glamorous spreads of cured meats and rich cheeses), but when I was, I would longingly stare at these non-vegan platters and find myself daydreaming about plant-based ones. Now, with the rise of alternative meats and cheeses, these are possible! That’s why I’m sharing the recipe for the perfect plant-based appetizer: the vegan charcuterie board. What is a vegan charcuterie board? Simply arrange the goods in an aesthetically-pleasing fashion on a wooden cooking board or a platter. Arrive at your party, and prepare yourself for fellow partiers to be wowed by your magnificent meatless melange. That’s all! Watch the Blush Blog for a taste of everything organic and natural. There will be Blush Lane news, events, recipes, information on local farmers and producers, in addition to articles and tips for living a healthy and sustainable life. Enter Our #MyBlushBag Contest To Win A Blush Lane Gift Card! previous post: What’s Water Kefir And Why Should You Drink It?